Now that all the 2018 cinematic hoopla is finally over (aka, the ever lengthy awards season) it is high time we took a look at what 2019 has to offer in the world of cinema. So, with no further ado, here are my twenty most anticipated films of 2019. 20. Star Wars: Episode IX - Anyone who knows me, knows i am a Star Wars fan from waaay back. I even have the Jedi symbol tattooed on my arm. But, as anyone who knows me also knows, i am no fan of the most recent Star Wars films. Sure, Force Awakens & Last Jedi have a nostalgic value when watching them, and the new characters, and actors behind them, are entertaining enough, but when galactic push comes to galactic shove, the newer films are merely sad retreads of the originals. That being said, i suppose i am still looking forward to the so-called final chapter, just to see how it all turns out. 19. Rocketman - Ready to cash in on the success of the rather mediocre, yet box office bonanza Bohemian Rhapsody (mediocre save for Rami Malik's bravura performance as Freddie Mercury of course) here comes a film about Elton John. The difference here is that this film looks as if it is a fantasy film, stuck somewhere between Tim Burton and Baz Luhrmann. 18. The Truth - This film, on the heels of his Palme d'Or for Shoplifters, is Japanese auteur Hirokazu Kore-eda's first foray outside of his native land. Starring Juliette Binoche, Ethan Hawke, and Catherine Deneuve, this French-US hybrid is sure to wow us as the filmmaker has done so many times before. 17. Joker - Granted, the DC films are nowhere near the level of what Marvel is doing in cinema (Wonder Woman is really the only good one post the Nolan Dark Knights), but a film about the most intriguing character in DC lore, being played by Joaquin Phoenix, has me front row center! 16. Her Smell - Elisabeth Moss as an aging out of control punk rocker? Again, i am front row center. Teaming up once again with her Queen of Earth director, Alex Ross Perry, Her Smell looks like it gives Moss her most powerfully electric film role yet. 15. Shirley - Speaking of Elisabeth Moss, in this film by Josephine Decker (director of last year's stunning avant-garde film, Madeline's Madeline) the actor plays author Shirley Jackson in a semi-fictionalized tale of a Summer in the author's life, that may play out like Who's Afraid of Virginia Wolfe. 14. Where'd You Go, Bernadette? - Chamelonic auteur Richard Linklater, the modern day equivalent of Howard Hawks, brings us the tale of a woman, who hates everyone around her, and her disappearance. The titular missing person is played by the always wonderful Cate Blanchett. 13. Bergman Island - Maria Hansen-Løve takes her husband & wife screenwriter characters to Fårö island, off the coast of Sweden, the very same place that their idol, Ingmar Bergman would go to gain inspiration. The Bergman setting alone has this cinephile watering at the mouth. 12. Lucy in the Sky - Based on the real-life tabloid story of an astronaut, who after returning to Earth, finds herself obsessed with her fellow astronaut and former orbital lover. Noah Hawley, the creator of TV's Fargo, makes his feature directorial debut, and the film stars Natalie Portman in a role that could take her back to the insanity of Black Swan. Fun stuff indeed. 11. Avengers: Endgame - Eleven years and 21 films after Iron Man kicked off the Marvel Cinematic Universe, it all comes down to Endgame. With the probable loss of beloved characters (this author thinks both Captain America and Iron Man, if not others, will die saving the universe) and the coming of new characters, Endgame will probably be the closing number in this chapter of the MCU, but also the opening salvo to a brand new chapter. 10. 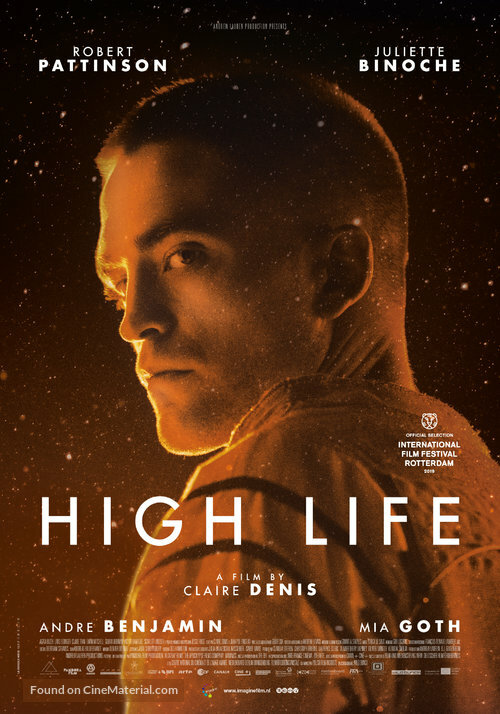 High Life - French provocateur and visual master Claire Denis is heading for space, and she's bring Robert Pattinson with her. Pattison has been making some strange & brilliant choices in his post Twilight acting career, and this is bound to be yet another one. 9. Beach Bum - In this Florida set comedy, Harmony Korine, in his first film since 2012's brilliant Spring Breakers, is back with a vengeance, and he's doing it with Matthew McConaughey as Moondog, a beach bum poet (and who better to play such a role). Also along for the ride are Isla Fisher, Zac Efron, Jonah Hill, Snoop Dogg, and Jimmy Buffet...as himself. 8. Midsommar - Ari Aster's follow-up to the terrifying Hereditary, promises to me another smart take on genre filmmaking. Starring Florence Pugh, who, after her turn in Fighting with the Family, is poised to be the next big thing with this film and the upcoming Little Women (which will be coming up on this list), and set in an idyllic Swedish town, that may just be a cult of evil. What isn't to love? 7. Jojo Rabbit - Taika Watiti, the New Zealand auteur who gave us the best Thor film in the MCU, now tells the tale of a lonely boy living in Germany during WWII, who creates an imaginary friend. It just so happens this imaginary friend is Adolph Hitler, and he is played by the New Zealand director himself. This look at racism and blind patriotism, and most likely mirroring many of the things going on in America today, is bound to be a quite divisive film. I love those! 6. Pain and Glory - Pedro Almadovar, the Spanish auteur who has given us some of the best films of the past thirty something years (Matador; Tie Me Up, Tie Me Down; All About My Mother, Women on the Verge of a Nervous Breakdown; Volver; Talk to Her; Live Flesh; The Skin I Live In...just to bame a few) is back with longtime collaborators Penélope Cruz & Antonio Banderas. We may not see this film in the US until early 2020, but it may sneak in before the end of the year, so here it is. 5. Little Women - Greta Gerwig, one of the most exciting filmmakers working today, and one of the handful of women to be nominated for a Best Director Oscar (for 2017's Lady Bird) has created a modern day take on the Louisa May Alcott classic. Yes, this is the eighth film version of the book, but it looks as if this may be the boldest of them all. 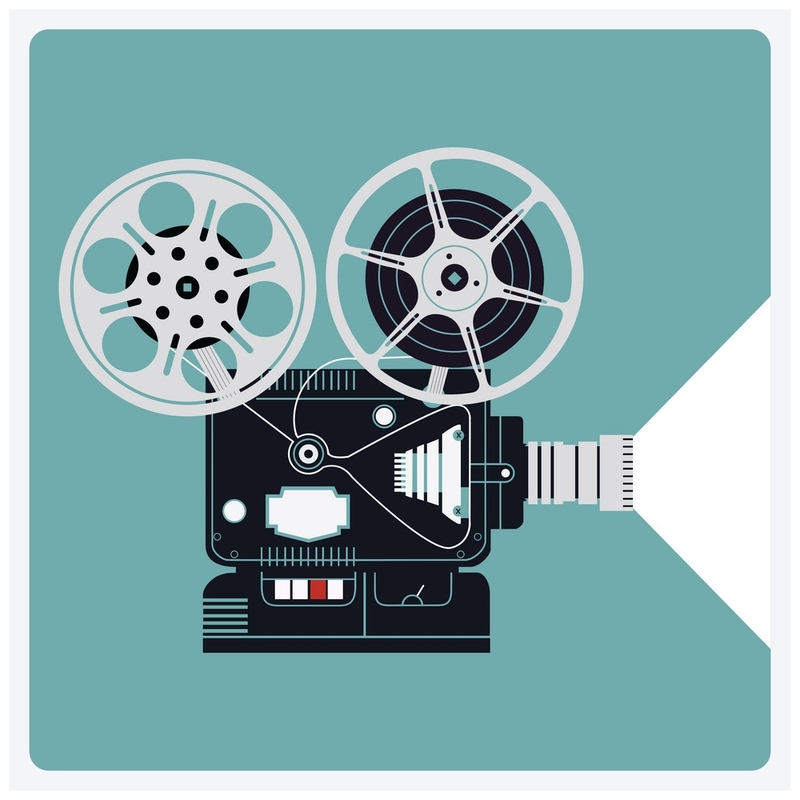 The film stars Gerwig's Lady Bird leading lady, Soirse Ronan as Jo March, and also features Emma Watson, Flirence Pugh, Eliza Scanlen, Timothée Chalamet, Laura Dern, Louis Garrel, and Meryl Streep. 4. The Irishman - Martin Scorsese! Robert De Niro! Joe Pesci! Al Pacino! Harvey Keitel! Do i need to go on? I do not, but i will anyway. The greatest living filmmaker is back in his wheelhouse with this mob tale of a labor union official (De Niro) telling the story of the murder of Jimmy Hoffa (Pacino). We even get to see a CGI de-aged De Niro and Pesci. This is Scorsese's first team-up with De Niro & Pesci since 1995's Casino, and has a lot of people excited. It is being released via Netflix, and there is that controversy when it comes to the inevitable awards it will surely garner at year's end, but this is a Scorsese film, and there is no way it is not also going to get a major theatrical release as well. 3. Climax - Yes, technically this film is already in US theatres, but being in just NY & LA right now, i have yet to see it. Hopefully in a few weeks though. But it is the fifth film from French madman Gaspar Noé, so on this list it must be. Bound to be just as batshitcrazy as his previous four films (I Stand Alone; Irréversible; Enter thd Void; Love) this film Portrays a French dance troupe after their sangria has been spiked with LSD. Fun fun fun! 2. The Man Who Killed Don Quixote - Terry Gilliam began making this film in 1989, and has been working on it off and on ever since. There was even a documentary released in 2002, detailing the struggles of the film. But now, after nearly 30 years, the film is finally complete, and ready to see the light of the cinematic day. 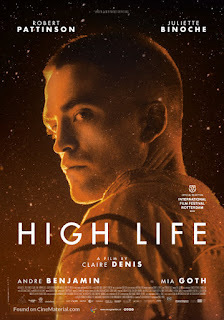 The film will have a one night only screening on April 10th, before going to Cannes, and a European rollout before it's US debut, which though not yet announced, will probably be in November or December sometime. We've already waited this long. 1. 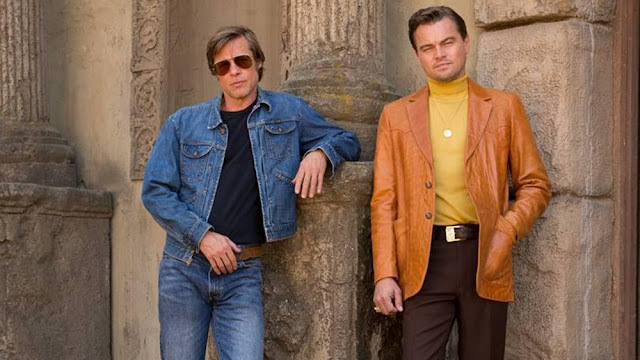 Once Upon a Time in Hollywood - Quentin Tarnatino, my favourite director working today (and one of those love him or hate him kinda filmmakers), is back with his 9th film. This one is set in 1969 LA, and tells the story of a TV actor and his his BFF stunt double (Leo DiCaprio & Brad Pitt) trying to break into the film industry. Oh yeah, and they also happen to live nextdoor to Sharon Tate & Roman Polanski when the Manson Family decides to pay a visit. No one is sure how much of the Manson murders will be played out on screen, but the sister of Sharon Tate saw the script, and gave Tarantino the go ahead to make the film. Whatever the case, the film is bound to be a spectacular grand guignol in the Tarantino style, and knowing me and my tastes, the top spot on my year end Best of 2019 list.